Redefining Excellence in Leadership and Communication. 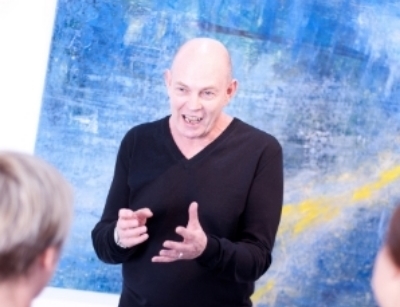 Our presentation skills coaching courses are targeted at CEOs, senior executives and managers and encompass persuasive speaking, voice training and techniques, presentation and public speaking skills and much more. We provide personal coaching to a wide range of people in key influencing and client facing roles. Our approach is tailored to meet the specific needs of individuals and teams. The coaching process may cover a range of needs - personal presence, voice skills, confidence building, key messaging, strategic communication/presentation design, public speaking and communication skills required for the effective delivery of keynotes, road shows, major conferences and board presentations. A key focus for many of our clients is on how to improve personal presence, impact and client engagement skills. We work regularly with clients from technical backgrounds to help them communicate complex information in a more effective and compelling way. Our coaching delivery schedule is mutually agreed with each client. Coaches can accompany clients to the venue to continue preparation, rehearse, observe the client in action and provide on-the-spot feedback and support. You will be working with one or two of Australia’s most experienced voice, speech, presentation and leadership communication coaches. Recognized as leading experts in our field and with over 25 years built up diverse experience with some of Australia’s top tier organizations and with overseas clients, our coaches will show you the way to a higher level of performance. To find out how we can help, call us on +61 3 9699 6444 or +61 419 534 713. Redefining Excellence in Leadership Communication & Inspiring Leader Development.